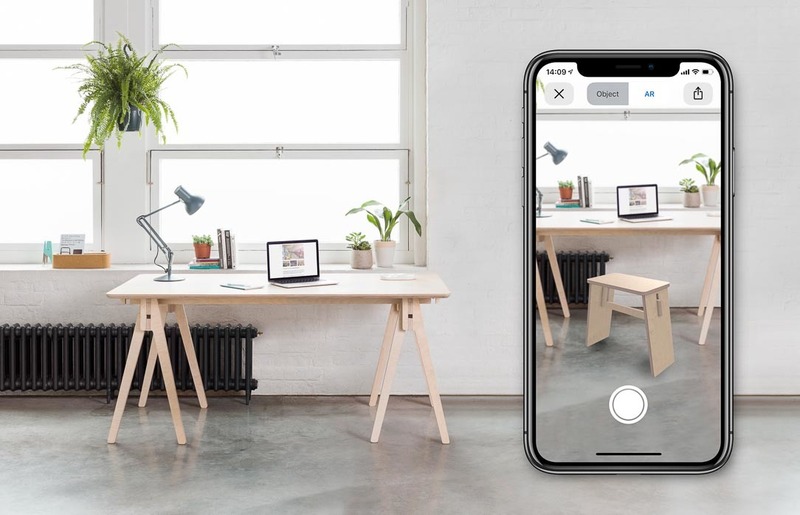 Opendesk - Props to these forward thinking brands! Today we shine a light on some of the great partners we worked with in our latest photoshoot. Each of the companies below were kind enough to lend us their innovative products as props to help bring our new designs to life. 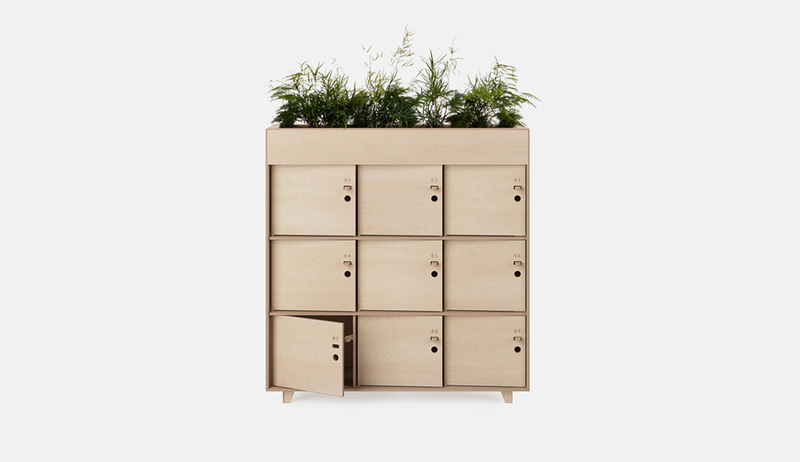 Last week launched an exciting new product, the Kano Units, which are a versatile and modular storage solution. The photography you see is the result of our second big photoshoot this year. We always like to take on the styling ourselves and source items by reaching out to brands who we admire, seeking to hero their products in our shots. The Kano Units were no exception, including products from Ultimaker, Workshop Coffee, Moccamaster, Present and Correct, and Hi cactai! If you remember back to earlier this year, we posted about our collaboration with small and medium companies that were trying to decentralise the manufacturing process. 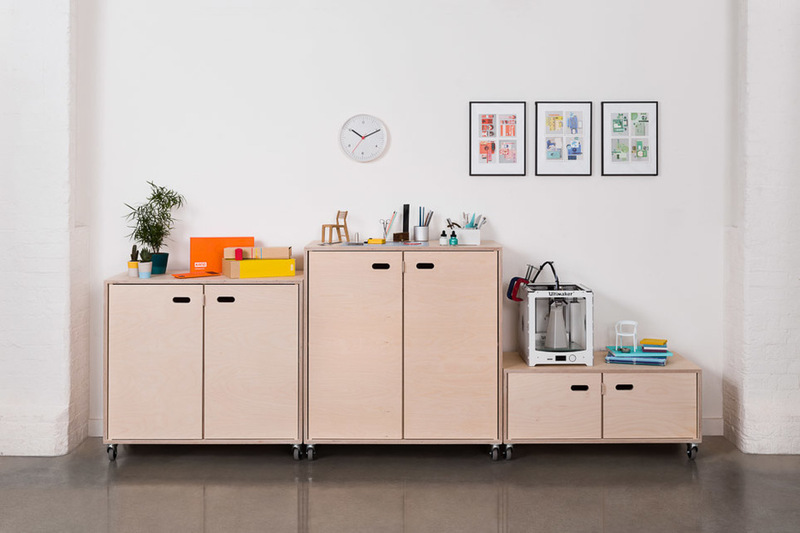 We took a similar approach this time, thinking how we could show the diversity of the Kano Storage Units while also highlighting the business values that Opendesk represents. 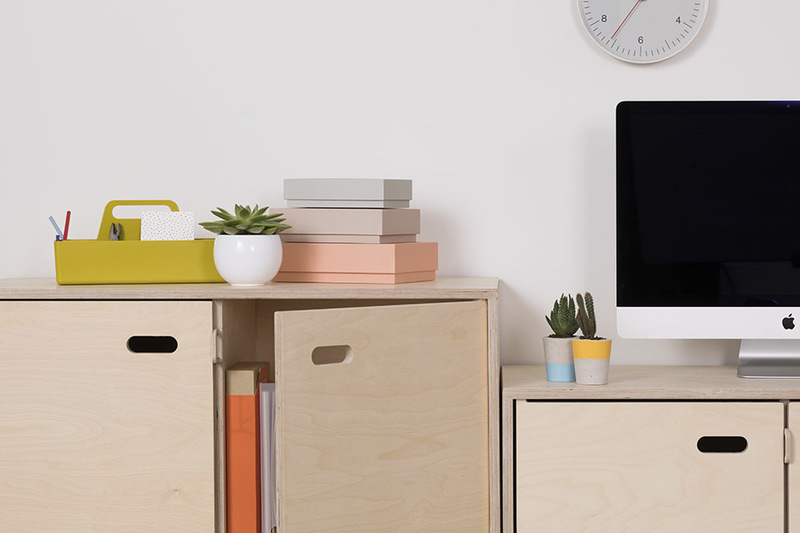 We needed a range of props to demonstrate the different ways the Kano storage can function and be configured, whether a stand-up meeting hub for teams, a coffee station or even a hacky DIY space for studios. As an aside for those that don’t know, this set of products has a special place in our hearts - you can learn about the history of how we developed them here. We’re constantly inspired by the vibe of hacker and maker communities that are thriving by challenging the traditional approach towards manufacturing. So the first setup we captured was an homage to these wonderful communities. We got in touch with Ultimaker, a 3D printer producer, and asked if they would be happy to let us use Ultimaker 2+; an affordable desktop 3D printer. The company started almost 20 years ago and are now in over 50 countries with an amazing community of 35k+ members. 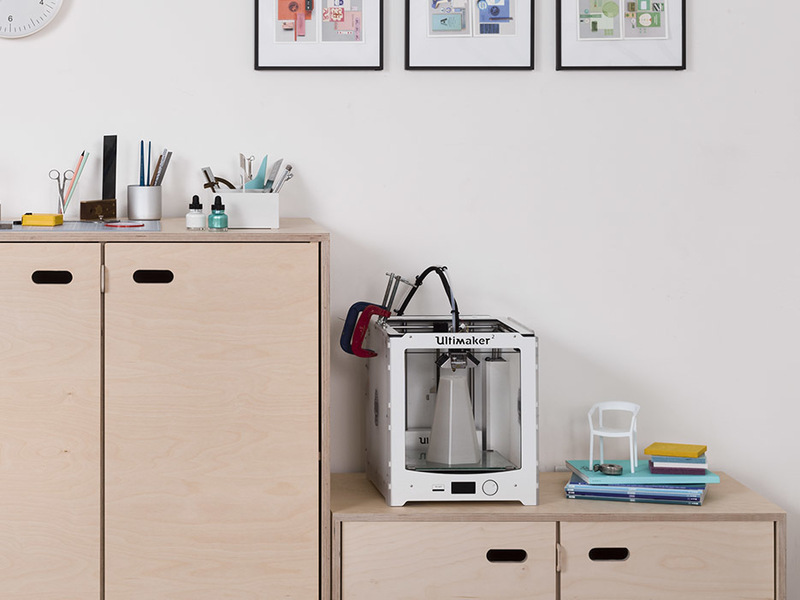 Both Opendesk and Ultimaker are built upon passionate communities of makers and DIY enthusiasts! 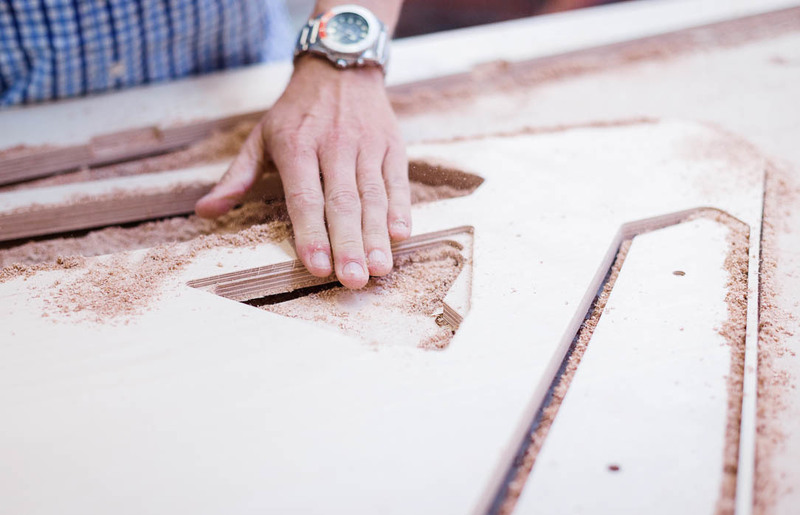 With this props setup we wanted to pay tribute to these communities - without their passion, inspiration and drive it would be much harder for us to tackle the challenges of creating a truly global platform for local making. Luckily where we’re based on Maker Mile in Hackney, we have the amazing Workshop Coffee as neighbours. Not only does that mean our beans are freshly stocked and we get to taste-test their exciting fresh harvest coffees, but when we need to borrow a great coffee machine we know who to call! 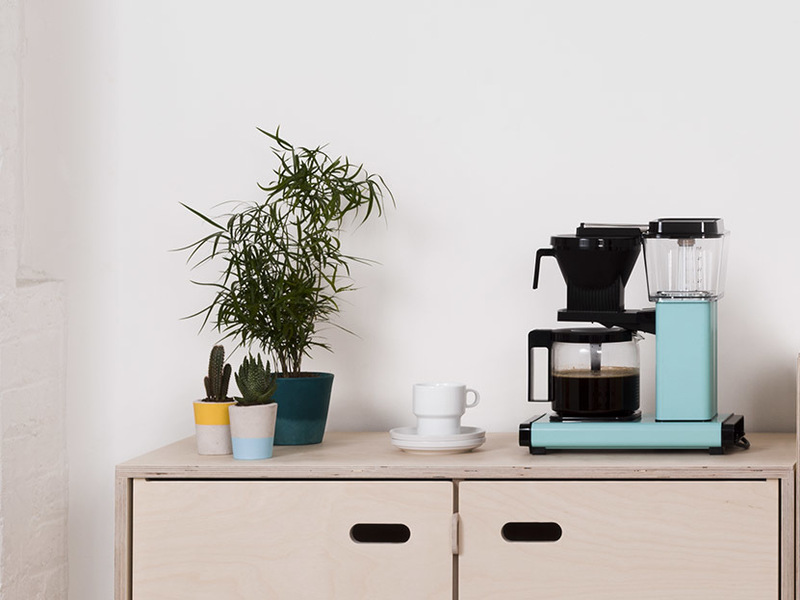 Our caffeine machine for the day of the shoot was the turquoise Moccamaster Technivorm, an automated drip coffee maker. We were very sad to part ways with it when the day was over! The Kano units are also ideal as a standing workstation where team members can host informal meetings or stand-ups around a shared screen. If that’s your purpose, we recommend pairing with our Nimble Stools. For those wondering about the art, we can’t go past Present & Correct for stationery and prints. Started by two designers with a penchant for vintage stationary (often discovered on sourcing trips around Europe), they state their mission as hoping to ‘spark a distant memory, make you smile or look at the most mundane in a new, and fonder light.’ With an online store and a physical presence on Arlington Way, East London, this is your go-to for beautiful workplace accessories. 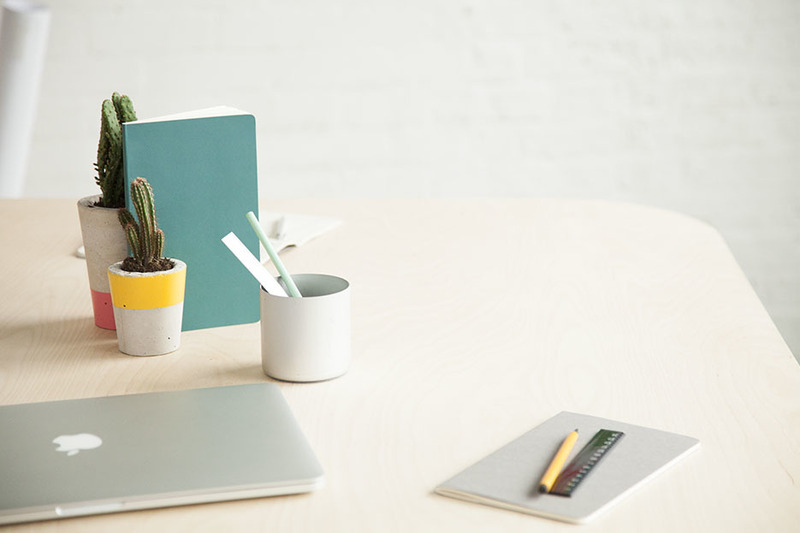 Those who remember our Fin Planters launch will know we’re fans of greenery in the office, and another way we like to add a splash of color is with fun pots! We got in touch with our friends at Hi Cacti who kindly agreed to lend us a few of their simple yet beautiful concrete cactus pots handmade in Brighton. 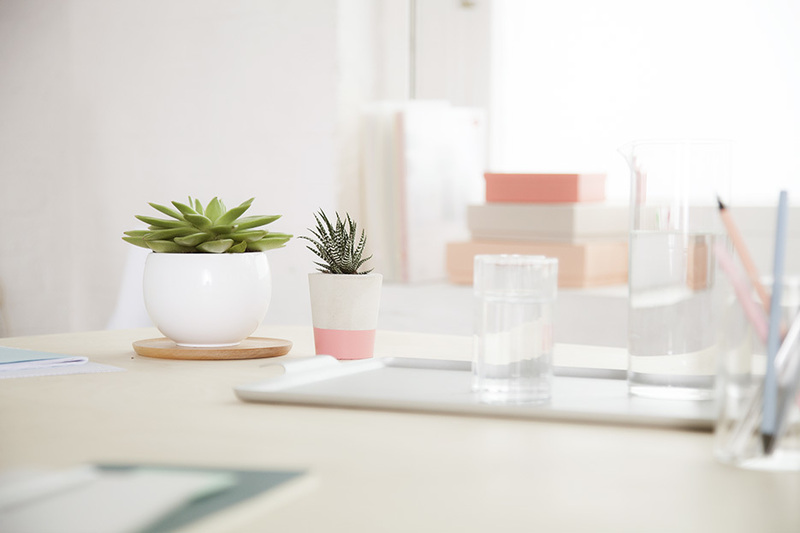 Each plant pot is conveniently designed and packaged to arrive at your workspace or home paired with an easy to care for cactus or succulent for a creative botanical feature and sustainable alternative to perishable flowers. 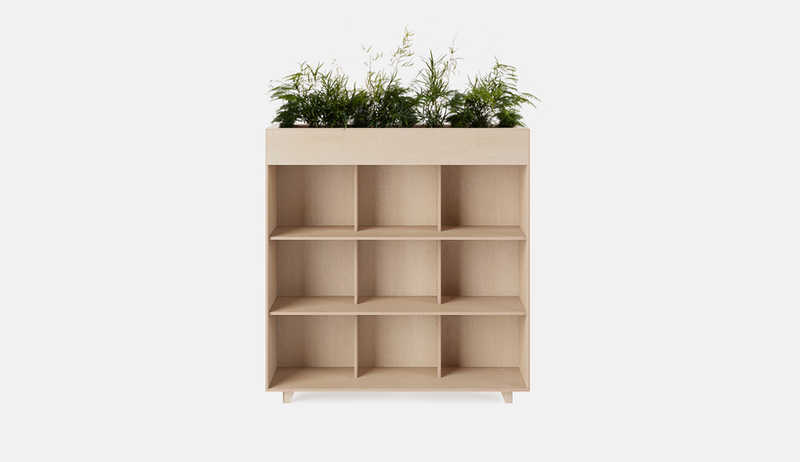 They complement every storage area and add a little bit of color to your plywood. If you are interested in lending us some of your products or you wish to collaborate in any other way, please get in touch with us.